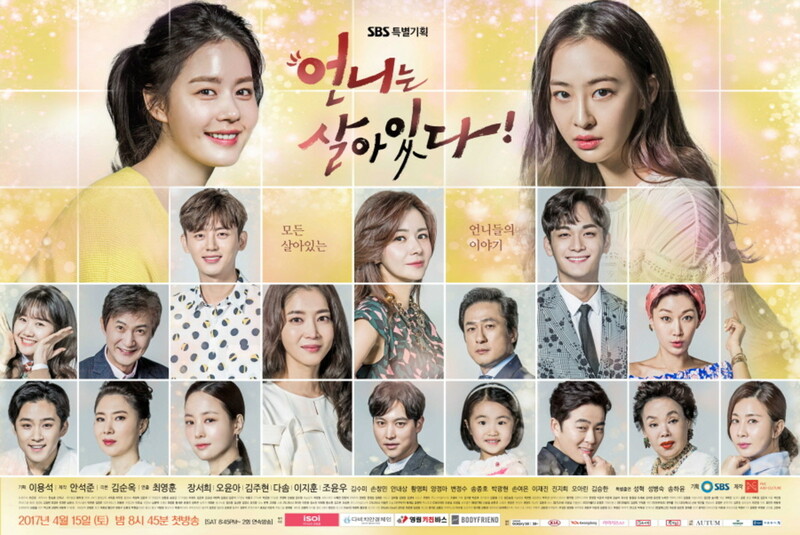 Band of Sisters (also known as Sister is Alive and Unni is Alive) is a Korean-language drama that aired on the Seoul Broadcasting System (SBS) with 2 episodes each Saturday from April 15th to October 14th, 2017. The original run was supposed to encompass 50 full-length episodes but the series run changed the format after 40 where future episodes were shortened to 35-minute episodes from 41 to 68. This is because Band of Sisters resonated with audiences that they didn't want the series to end so soon. It is an ensemble drama that keeps you drawn in. I enjoyed the drama though I was annoyed that the series got extended when I felt it should have ended at 50 episodes. The main reason I wanted the series to end soon was because I was so eager to see the villains receive their comeuppance. Even though Band of Sisters has finished its program run, you can stream it overseas via video on demand (VOD) through Drama Fever and Viki. I usually waited until Drama Fever offered new episodes, a few days after the Saturday broadcast, because the English subs were virtually fully translated. Viki offered the same episodes on the same day after broadcasting on SBS but they weren't fully subbed. By the time full English subs were available on Viki, those same episodes could already be streamed on Drama Fever. I enjoyed the series overall and thought the performers played their roles well. I will add that Da-Som Kim, formerly of the recently disbanded group Sistar, has truly cemented herself as a versatile actress. I believe Da-Som was the hardest working cast member because this is the first time she played an antagonist and at the same time fulfilling obligations to Sistar before the group officially disbanded. Band of Sisters' production was the same year that Sistar officially ended. Da-som Kim was nominated for Character of the Year and won Best New Actress at the 2017 SBS Drama Awards for her villainous role. The story focuses centers on three individual women who each lost someone close to them in separate but indirectly connected events. These women are initially blamed for the deaths of their loved ones only to think back and suspect that there is more than meets the eye. Once they learn the truth about the chain events that took place that one fateful day, which kicks off the story's plot in these three women seeking revenge on the parties who have done them wrong. You have the main heroines Ha-ri Kang (a former stationary store owner, played by Ju-Hyeon Kim), Eun-hyang Kim (a former secretary turned stay-at-home mom, played by Yoon-ah Oh) and Deul-rae Min (a former popular actress who struggles to remain relevant, played by Seo-hee Jang) joining together as “sisters-in-arms” as they seek justice for the wrongs done to them. It is the wedding day for Ha-Ri and her newlywed husband, Jae-il, as they drive off on their honeymoon via a truck borrowed by mutual friend, Gi-chan Seol, a brilliant entrepreneur and one of the two main male characters of the story. Unfortunately something goes wrong with the truck and it crashes on the highway. Paramedics arrive to rush Ha-Ri and Jae-il to the hospital, but more adversity falls upon Ha-Ri as Dal-Hee, using her father's taxi cab, recklessly drives down the same highway without regard for other drivers. Dal-Hee's reckless driving causes a highway pileup that injures the paramedics driving Jae-il and injuring Ha-Ri even more. Dal-Hee survives and blatantly leaves her injured stepfather, Mal-Bok Jin, in the cab only for him to succumb to injury. It is painted that Dal-Hee is the main villain of the story when she ignores Ha-Ri's cry for help before escaping into the highway tunnel for a job interview. This was very cold and heartless on Dal-Hee's part and that is what made her a very convincing villain in the story. Da-Som Kim did an excellent job portraying Dal-Hee. I wanted to see Dal-Hee go down so badly and it irked me when Band of Sisters got extended to 68 episodes. On the bright side though, Dal-Hee is making that extra money. Jae-il dies from his injuries because Dal-Hee didn't want to take the time to call help. Ha-ri is initially blamed by her in-laws, Dae-In Na & Sang-Mi Go (respectively played by Nae-sang Ahn and Young-hee Hwang), as she is left alive and their son is dead. The in-laws' blame is directed to Gi-chan because it was his truck that the newlywed couple was using. I felt bad for the in-laws but was disgusted at the same time. It is a reminder on how people grieve losing people they love and taking their grievance out on other people who don't deserve it. Neither Ha-ri nor Gi-chan deserved to be on the receiving end of the in-laws spite. The in-laws ultimately learn the truth and became valuable allies in helping the “sisters” seek revenge on the wrongdoers. Meanwhile Eun-hyang arrives home from visiting her sick mother at the hospital to see her house of fire. It is a tragic loss as Eun-hyang loses her young daughter, Ah-Reum, to the house fire. She is initially blamed for the fire and leaving Ah-Reum behind all by herself. Adding further insult, Eun-hyang's grieving husband, Tae-Soo, blames her for leaving Ah-Reum by herself and letting her die in the fire. Eun-hyang blames herself and seeks closure by inspecting Ah-Reum's room and notices that an aromatherapy candle was lit, something she remembers not lighting up. She realizes that it was Tae-Soo who accidentally caused the fire and shifted the blame on her. Furthermore, invoking Eun-hyang's rage, she learns that Tae-Soo was cheating on her with Se-Kyung Goo, the heiress of Ruby Cosmetics. Se-Kyung serves as Eun-hyang's personal antagonist but has beef with Dal-Hee, too, as the traffic crash she caused delayed the firetruck from arriving at the house in time to save Ah-Reum. At the same time somewhere else, Deul-Rae is attacked by an obsessive fan trying to kill her. The attack claims the life of Deul-Rae's mother as a consequence. Deul-Rae's story as fascinating because her star has fallen and she ultimately realizes that she's nothing without the help and support of her mother, who she was constantly ungrateful towards. The police car supposed to arrive on the scene was also involved in the multi-vehicle crash caused by Dal-Hee. The dash cam footage becomes an important plot tool because it is the one piece of proof that directly implicates Dal-Hee in the fatal multi-vehicle crash, which Mal-Bok willingly took blame for as an “apology” to making Dal-Hee's life hard. That's enough for Deul-Rae to want revenge on Dal-Hee, she ultimately fills the shoes of a heroine after learning the truth about her own attempted murder and how it ties into main plot. Things are more complicated when you have other people thrown into the mix such as Dal-Hee Yang (played by Da-Som Kim), the main antagonist, a cold and calculating opportunist who will do anything and everything to end up at the top and as the last person left standing. As for Gi-Chan, he ultimately learns that Dal-Hee, is former girlfriend, back-stabbed him, stole his chamomile, which ultimately got sold to Ruby Cosmetics. His stake in the story gets deeper as Ruby Cosmetics is headed by Se-Kyung, who Gi-Chan accuses of selling tainted cosmetic products to the public and covering it up. Then there are secondary antagonists such as Se-Kyung Goo (played by Yeo-eun Son) and Gye-hwa Lee (played by Jung-a Yang) who have a lot at stake. Se-Kyung serves as the perfect antithesis to Eun-Hyung while Gye-hwa serves as the perfect antithesis to Deul-Rae. It's very dark for three people to lose a loved one on the same day but it's darker that their losses are connected through a chain of events. Getting revenge is very complex because the heroines learn what connects the events that led to their losses. That is not all when Ruby Cosmetics, the central subplot for Band of Sisters, is thrown into the mix as it is the linchpin that connects the events of the three heroines. I found the plot of Ruby Cosmetics to be intriguing because it is the ultimate prize of the three antagonists because it ultimately leads to the bigger prize at hand, eventual control of the Gongryung Group. Ruby Cosmetics in general, directly and indirectly, plays a role in the pain suffered by the heroines. I was amazed at how the company was connected in so many ways. Another subplot is thrown in the mix as the Gongryung Group's matriarch, Goon-ja Sa (played by Soo-mi Kim), has a sneaking suspicion that her grandson Se-Ho, originally thought to have been dead long ago, is still alive. The subplot effectively establishes that the stakes are high as Se-Ho is the supposedly the rightful heir to the entire Gongryung Group. Se-Joon, Goon-ja's other grandson and Gye-hwa's son, is the other main hero as he's ultimately caught in the middle of all the feuding. I felt bad for Se-Joon because he's ultimately bound to Ruby Cosmetics in so many different ways. He, too, is victimized at the manipulation of his mother and condescension of his older half-sister, Se-Kyung. I love how the subplots are tied together but are allowed to develop into their own unique individual stories. The suspense from the connection of plots does a good job of keeping viewers engaged as the series progresses. It is an ultimate standoff between the heroes and the villains. There is a lot of salt and shade to be thrown in all directions as others are inevitably dragged in this major battle and Ruby Cosmetics is ultimately at the center of it all. The plot is chock full of revenge, drama, romance, comedy, suspense and espionage beautifully tied together. It is further amazing that the plot's consistency is maintained throughout the series run. Band of Sisters tells a story where there are many layers that are uncovered as the show progresses. It really did annoy me though that it ultimately took 68 episodes, again the show was extended from 50 to 68 episodes because of viewership demands, that everything was ultimately revealed. Band of Sisters has a very intricate web of characters who each has an important role to play in the story's development. There is a Shakespearean feel to cast as each member and group have a unique role to play in the story. I loved how the series also focused on those support characters and what they have to contribute to Band of Sisters. The sisterly bond forged by Ha-Ri, Eun-Hyung and Deul-Rae is what ultimately drives the story. In their individual quests for getting revenge on the wrongdoers, they help keep each other in check. They are the emotional and moral support to each other. They represent the valuable lesson that people with similar goals need to help each other. This also includes helping each other with individual goals as they could be connected to each other in some way, mean or form. Ha-Ri is the most sound of the sisters as she maintains her own sense of identity while slowly uncovering the truth behind the traffic pileup that ultimately led to her newlywed husband's death. She fulfills her role as the “den mother” to the group while navigating her own path to revenge, initially targeting just Dal-Hee, to lining her sight towards Se-Kyung as she, too, is culpable in the death of Jae-il. I would admonish her, but I'd probably the same things as Eun-Hyung to gain revenge. She learns that getting revenge and receiving closure are two completely different things. This quest for revenge ultimately forces Se-Kyung to “have a conscience” and to repent for all her wrongdoings. I ended up feeling some bit of sympathy for Se-Kyung because she, too, had it incredibly hard. 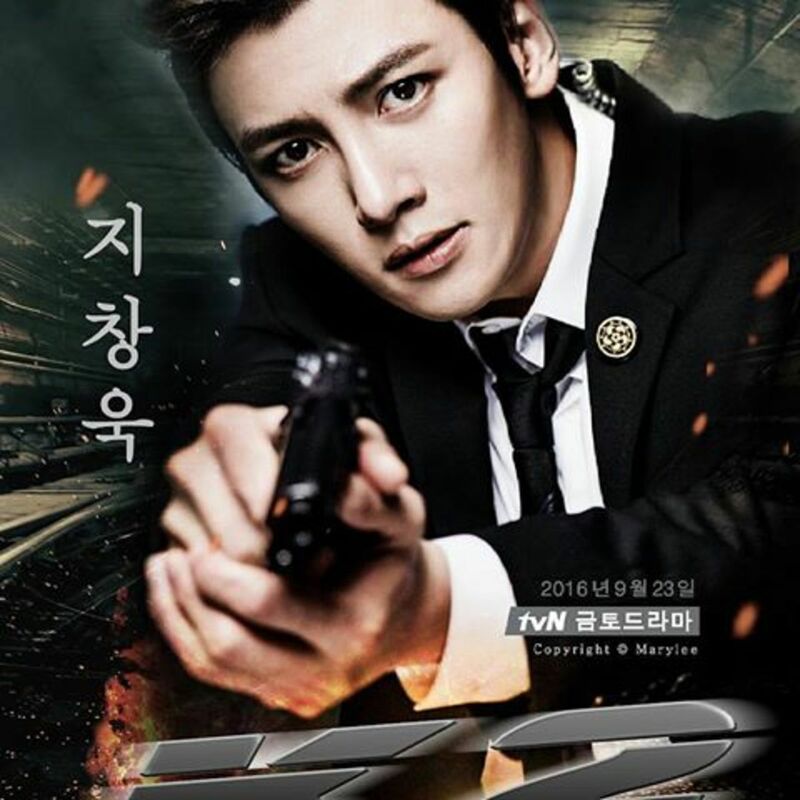 Eun-Hyung also proves that the most vindictive person can be the most fragile as she's overwhelmed with guilt for dragging Hwan-Seung and Yong-Ha, respectively Se-Kyung's husband and son, into the conflict and using them as “sacrificial lambs.” The guilt gets to Eun-Hyung as she gets emotionally exhausted and attempts suicide. She goes beyond the whole nine yards to exact her revenge by going far as to donating an organ that is transplanted into the daughter of Chairman Geum to enlist his help in exacting revenge on Se-Kyung and Tae-Soo. Coincidentally Geum ultimately has a dog in the fight as Goon-ja is a good friend of his. I personally thought Geum would've helped for free if he learned what was ultimately at stake. Deul-Rae represents growth potential because she wasn't really a “good person” before watching her mother get murdered. I originally had no sympathy for Deul-Rae at the beginning because she was spoiled, self-centered and self-entitled. She exuded privileged and entitlement in her conduct towards everyone around her. Her obnoxious and oblivious personality made me want to vomit. I would call Deul-Rae the most flawed and most pitiful person from the very start. Without her mother, Deul-Rae is helpless. Deul-Rae never had to do anything for herself until she realized that there's nobody left to help her. She pretty much burned all her bridges. Deul-Rae's quest to avenge her mother becomes one-part redemption story and one-part reinvention story. Her path ultimately leads to self-discovery. The “sisterly” bond forged by Dal-Hee, Se-Kyung and Lee-Gwe also does its part in effectively driving the plot. This so-called bond is the antithesis to what the three heroines share with each other. In this case, they are joining hands but hiding knives behind them. They are each ready to back-stab each other when the time comes. They represent an alliance make out of sheer convenience. These villains are ready to throw each other under the bus, happens many times through the series, in order to get ahead. It's a shaky and volatile alliance that is constantly broken, mended and broken again. Dal-Hee is a tragic villain in her own right as she takes the treacherous route given her own unique circumstances. She wants better for herself and there's absolutely nothing wrong with that, however she personifies the saying of “the ends justify the means.” This ultimately becomes Dal-Hee's undoing when her entire world comes crashing down. She takes on the identity of Sera Park, a Korean-American from the US with a master's in biochemistry, with falsified credentials provided by Se-Kyung as part of an under the table bargain. 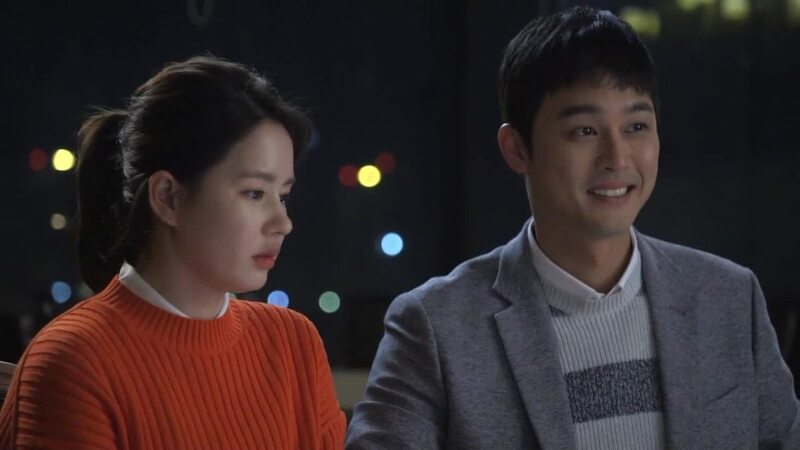 Dal-Hee effectively gets what she wants by choosing to withhold information that reveals Se-Kyung's duplicity in stealing Gi-Chan's chamomiles. Dal-Hee's moral alignment classifies as neutral evil because she's only loyal to herself. Her manipulative nature is greater than the machination of Gye-Hwa, who has her own stake in this web of deceit. I am impressed with Da-Som Kim's portrayal of Dal-Hee Yang/Sera Park. In a recorded interview with the cast of Band of Sisters, Da-Som explained that she wanted to break the stereotype of pop singers turned actors. Da-Som more than accomplished her goal and won an award at the 2017 SBS Awards. I have to say that Pil-Mo has done a terrible job as a father. But Se-Kyung's duplicity cannot be overlooked as she orchestrated the sabotage of Gi-Chan's truck, with Gi-Chan as the intended assassination target, that ultimately claimed the life of Jae-il. I fully understand why she's on the proverbial s—t list of Ha-Ri, Eun-Hyung, Gi-Chan and Ha-Ri's in-laws. Se-Kyung is no pushover either as she has is able to use the resources of the Gongryung Group. She's a pretty good forceful villain. I was shocked that Se-Kyung ended up getting breast cancer from Ruby's own products, something that Gi-Chan tried to prove and that Se-Kyung denied & covered up. This ultimately becomes Se-Kyung's undoing near the end of the series and it shows there is no honor among thieves as the other two are quickly pounce for the kill. She's the only villain who redeems herself at the end. I will stress that Se-Kyung is ultimately responsible for the choices she made but I understand what led to those choices. I believe Se-Kyung would have been a better person if Pil-Mo was actually a father to her and she had friends when she was younger. It's a long journey for Se-Kyung to regain her humanity. Gye-Hwa initially surprised me at the beginning. I honestly thought she was just a loyal employee of the Goon-ja until it is revealed that she is Se-Joon's mother. I am curious how she ended up getting pregnant by Pil-Mo. It irked me that the connection is never revealed. I was shocked to learn that she was in fact Se-Joon's mother. I felt bad that Gye-Hwa was still treated as just an employee of the household but changed my mind after learning of her own duplicitous nature pertaining to the story. Gye-Hwa is perhaps the scariest villain of the three. I would classify her moral alignment as being between neutral evil and chaotic evil. Gye-Hwa thinks she knows what's best for Se-Joon without him having a say in the matter. I was also shocked that the main reason Gye-Hwa managed to get pregnant by Pil-Mo, conceiving Se-Joon as a result, was as a means for a better life. In layman speak, Gye-Hwa tried to screw her way to the top. She's the most deceptive and the most unhinged of the villainous trio. I thought Dal-Hee was pretty bad, she is definitely bad, Gye-Hwa takes the cake and reveals herself as the central antagonist of the story. Gye-Hwa's machination is a huge driving point where she is ultimately responsible for Se-Ho's disappearance to ensure that Se-Joon ends up inheriting everything to being the one who paid the crazed stalker to murder Deul-Rae. I have to say that Gye-Hwa is petty, spiteful and incredibly jealous. I found some amusement when Gye-Hwa falls for Dal-Hee's deception. Gye-Hwa is a villain that nobody should ever take lightly. While there is the missing dash cam footage that directly proves Dal-Hee is responsible for the crash, there is special jewelry (originally belonging to Se-Ho's mother) that directly proves Gye-Hwa paid off Deul-Rae's murderous stalker. The “alliance” is shaky because it's constantly broken and mended. They turn on each other when s—t hits the fan. Gi-Chan Seol plays a very integral part of the story and his role becomes more important in later episodes. I liked Gi-Chan a lot because of his ability to recover from a devastating loss. When Gi-Chan learned that his chamomile was stolen, he recovered and cultivated blue roses for a new makeup line. He's a very brilliant businessman and his connection to the Gongryung Group is ultimately revealed. I felt bad for Gi-Chan because he ultimately got shafted by Dal-Hee, his ex-girlfriend, and smacked around more by Se-Kyung. Se-Joon, too, plays an integral part of the story as the illegitimate son to Pil-Mo. I felt bad for Se-Joon because he was ultimately conceived in hopes that Gye-Hwa would ascend to the top. I do believe Gye-Hwa does love Se-Joon but she is too self-centered and self-absorbed. She exuded pettiness when she felt threatened by Deul-Rae who Pil-Mo becomes smitten with. Gye-Hwa feels further threatened as Deul-Rae resembles Pil-Mo's late wife, too. Falling in love with Ha-Ri makes the story more interesting as it gets the attention of Se-Kyung and Dal-Hee, respectively, thinking she's unworthy and she's competition. I felt that Se-Joon has it hard, too, because all his decisions are being made for him. With Se-Ho being gone, Se-Joon becomes Se-Kyung's bully target. The heroes and villains are backed up by a strong support cast, too, which impressed me a lot. I am reminded of the Shakespearean play Much Ado About Nothing as different factions have their unique roles to play in the story. I originally thought Pil-Mo was a total jerk for many reasons. Pil-Mo ultimately grew on me because he's a very complex person who doesn't really know how to properly grieve or cope with loss. I felt that his demeanor towards Se-Kyung and Se-Joon is evident to the fact that he hasn't gotten over losing his wife or Se-Ho. I found his naivety and obliviousness to be annoying. It pained me because those facets of Pil-Mo's personality played a crucial role in driving the story. This allows Pil-Mo to be exploited by Dal-Hee and Gye-Hwa into pulling the rug under Se-Kyung's feet. I thought Pil-Mo was a closeted chauvinist because he constantly looked down on Se-Kyung and refused to cut her any slack. Pil-Mo did not act like a father to Se-Kyung at all until it was ultimately too late for her (contracting breast cancer from the tainted Ruby products). It amazed me that he remained clueless throughout the series. But Pil-Mo surprised me with his noble streak when it came to protecting Deul-Rae and Hong-Shi from danger. He's a knight in shining armor when you look past that tough guy exterior. Pil-Mo is a “pure soul” though he is incredibly clueless. Pil-Soon, Pil-Mo's single sister and Se-Joon & Se-Kyung's aunt, got on my nerves at the beginning as she comes off incredibly superficial. She is like a comedic version of Margaret Windsor (played by Vanessa Kirby) from Netflix's The Crown. I initially thought Pil-Soon was the most useless character given her scatterbrained personality. When the rug is pulled from under her, thanks to Gye-Hwa's manipulation, Pil-Soon proves her worth. She acts as the comic relief along with Ha-Ri's in-laws, Dae-In and Sang-Mi, through the story. This feels similar to the role of Dogberry's group in Much Ado About Nothing. The trio acts as the story's comic relief but a force to be reckoned with when putting their heads together. Pil-Soon's role is instrumental as she helps uncover Gye-Hwa's duplicity in Goon-Ja's death. It made me think about Hamlet exposing the truth behind his father's death at the hands of his uncle, King Claudius, in Hamlet. I felt that Pil-Soon is the Hamlet to Gye-Hwa's Claudius. I thought Dae-In was an uptight jerk at the beginning but grew on him when he became the de facto tactician of the group. Dae-In's wisdom proves invaluable in gathering evidence to incriminate all the responsible parties. The role seems to be a nod to the series High Kick 3: Revenge of the Short-Legged where Nae-Sang Ahn played the main character of the same name who owned a special effects company. Sang-Mi ends up forming her own sisterhood with Pil-Soon as they work together to further uncover the duplicity of Gye-Hwa and Dal-Hee. I was impressed at Sang-Mi's ability to play the role of an undercover spy. Dae-In and Sang-Mi are a force to be reckoned with. There's also a small romantic subplot between Ha-Sae and Jae-Dong, respectively, Jae-il's younger brother and Ha-Ri's younger sister. I held them in contempt for the way they treated Ha-Ri and Gi-Chan but they prove to be very good people once they learn the truth. I believe that the sisterhood would not have gotten far without the aid of combined help of the in-laws and Pil-Soon. Deul-Rae also does a good job of adding to the comic relief whenever she works with the trio, too. There's also a great running gag with the couple as Dae-In is a miserly old man and Sang-Mi being a bit of a spendthrift. Then there's Tae-Soo, Eun-Hyung's piece of s—t husband, who is a known parasite and opportunist. 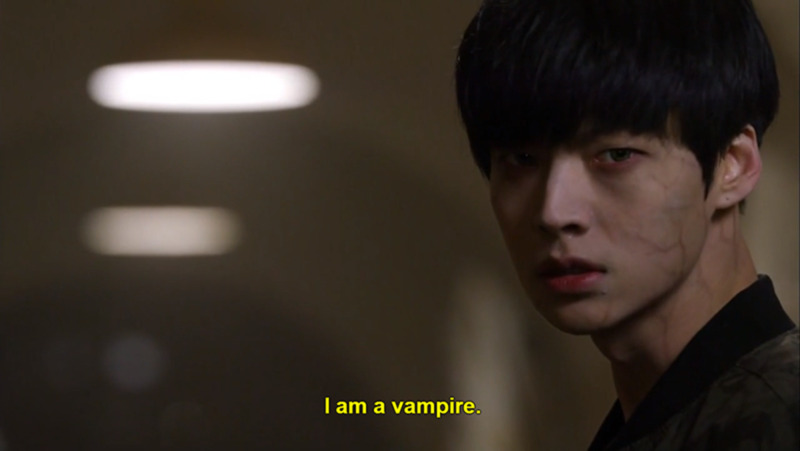 I thought Tae-Soo made a very good minor antagonist as he, too, is trying to get on top. Tae-Soo ultimately gets what's coming to him when he faces the wrath of everybody he has f—ked over and then some. I wanted to punch him in the face so hard. Kwang-Hyun Park did a very great job portraying the cowardly Tae-Soo. That dude was hiding multiple knives behind his back ready to back-stab anybody at any given moment. It's reverse deja vu because I became familiar with him in the Pink Lipstick series in his role as one the main male hero in the story. In Band of Sisters, Tae-Soo is a cowardly version of Pink Lipstick's Jung-Woo. Never knew what Se-Kyung had even seen in Tae-Soo. Tae-Soo acts as your friend/ally only to stab you in the back and change sides afterward. He is the biggest flip-flopper in the story. His comeuppance is rather poetic, too. The arrival of Vicky Jung, mother of the real Sera Park, halfway through the series was surprising but made the story more compelling. Vicky's appearance in the series is a lesson that you cannot run from your past. In this case, Dal-Hee's skeletons have come out of the closet and are hunting her down. I found Jung to be interesting because she's the de facto antihero in Band of Sisters. The only main hero who interacts with Jung is Se-Joon and that is to further drive Dal-Hee's role in the story. Vicky's appearance in the story signals the Dal-Hee's downfall. I felt that Vicky does well being the story's antihero. Her drive to punish and take down Dal-Hee is not altruistic at all, she thinks Dal-Hee is low class trash and should remain that way. At the same time, it was the condescension from the real Sera Park that drove Dal-Hee down her dark path. While I liked Vicky as an antihero, she also takes on a role as a dark “deus ex machina.” Jung's sudden arrival, putting a wrench in Dal-Hee's plan, is a godsend to the likes of Se-Kyung. It is further proof that the treacherous alliance is shaky as Se-Kyung told Dal-Hee face-to-face of her willingness to help Vicky out if she knew the situation beforehand. Vicky is a very sharp thorn at Dal-Hee's side. As a character, Vicky is incredibly cerebral. She is the most cerebral character out of the entire cast of Band of Sisters. I thought Dal-Hee and Gye-Hwa were scary people but Vicky takes the cake as she takes action. One example was when Vicky hired people to abduct Dal-Hee in an attempt to forcefully remove her eyes as payment for accidentally blinding Sera in a scuffle back in the US. There is nothing noble about Vicky. She's only on your side because it suits her personal interests. Once her interests are met, Vicky will move onto other things. Vicky's intervention also throws shade on Gye-Hwa as a major opportunist who, too, is ready to sever ties with people once they are liabilities. Once the truth about Dal-Hee is revealed, Gye-Hwa doesn't hesitate to sever ties with her and pretend nothing had even happened. I believe that Dal-Hee, not Se-Joon, should've been born as Gye-Hwa's child. The two of them think alike and are ready to back-stab each other. If they met each other earlier, Dal-Hee and Gye-Hwa would make a great con-artist duo. Band of Sisters uses a very upbeat soundtrack to mark the ending of each episode. I love the music used to denote suspenseful and climatic scenes. Listening to the music got me excited with anticipation for what ends up coming next. While Band of Sisters tells a very compelling story of interwoven plots, the series is one big morality play. If you do evil, it will ultimately come back and bite you. The villains of the story ultimately have to pay for their sins and crimes as the story ends. At the same time I was annoyed because I ended up feeling bad for Dal-Hee and Gye-Hwa when they ultimately got punished. I wanted to hate them but I couldn't after what happened at the end. Still their individual punishments are poetic. As for Tae-Soo, forget him, I don't feel sorry for that loser at all. His punishment is incredibly fitting and it made me laugh hard. I also loved the brief viewing of outtakes at the end of every few episodes though I wish each episode ended with outtakes during the rolling credits. My favorite outtake was when the actor who played Secretary Choi cooked corn and brought it on set to share. When Chang-Min Son found out and asked him between takes during a scene, he got agitated when the actor told him that all the corn was gone. Apparently Chang-Min was looking towards a nice snack only to learn there was no more corn. The outtakes really helped ease up the tension built at the end of each episode. Band of Sisters is one of the best shows that I have scene in 2017. It is one of the few Asian dramas I had actually watched that last year, too. I read the synopsis of the story by chance when I was scrolling through Drama Fever's content library. 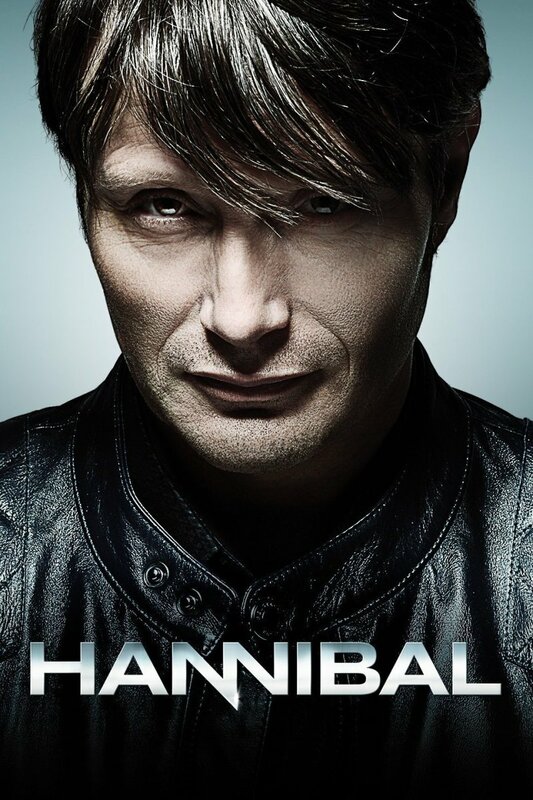 When I started watching, at least 20 episodes had already aired. It is a very engaging drama. 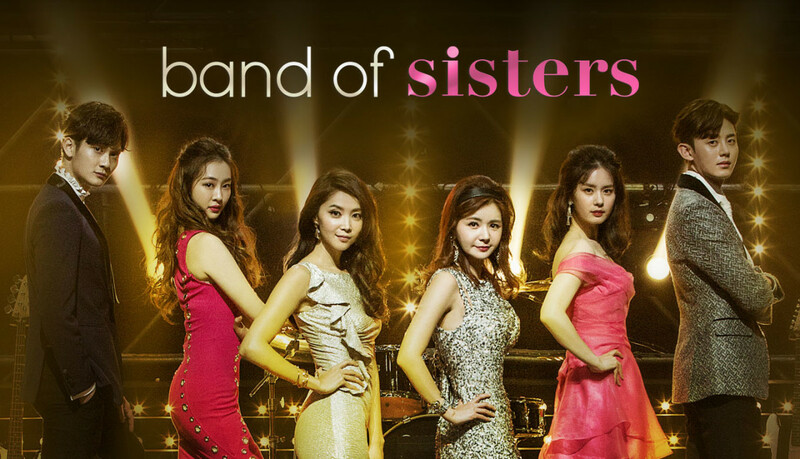 If you enjoy watching a good Korean drama, I suggest you check out Band of Sisters. You can view it on Drama Fever or Viki. I believe Band of Sisters is great binge-worthy drama.